City-based metal outfit Bhoomi moves to the rock side with Peepal Tree a�� their alternate avatar that now includes Willy Demoz on drums. 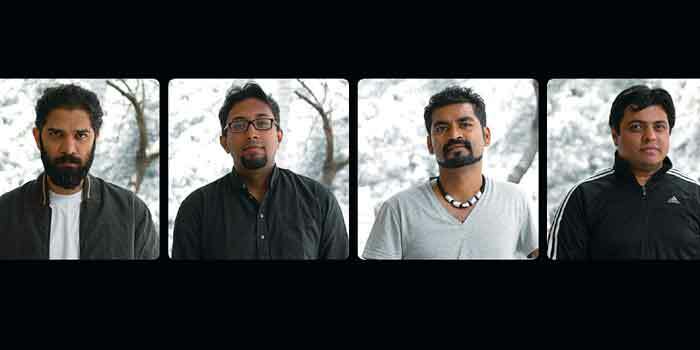 Consisting of Bhoomi members Sujay Harthi (vocals), Tony Das (guitars) and Praveen Biligiri (bass guitar), Peepal Tree takes on a different genre, language and sound, and hence their new identity comes with a different name. a�?We wanted to do something different and cater to newer audiences in the process,a�? reflects Harthi, while Das adds, a�?We are now putting together styles and genres that we collectively know, in a way that sounds unique.a�? Drawing on influences as varied as pop, electronica and funk, Peepal Tree adds a local element to their sound with lyrics in Kannada yet based in familiar rock riffs. a�?People tend to connect with anything local, especially when ita��s music. This is why we headed in this direction,a�? says Demoz. Having started earlier this year, they have so far released two singles, Tangi and Chetana, and intend to release their first album later this year. Tangi is a combination of soulful Kannada vocals by Santa Shishunala Sharifa, peppered with catchy guitar phrases, dubstep loops, and punchy bass and drums lines. Chetana is straight-up rock a�?na�� roll, inspired by a Kannada poem by Kuvempu of the same title. While Bhoomi is still very much existent, Harthi tells us that changing paths also meant a shift in dynamics a�� adding classical lyrics with a distinctive nuance. a�?And we really didna��t want it to sound like film music,a�? he jokes.